This latest release from No Qualms Records features four tracks from Brazilian artist Vimanna (Rodrigo Aquino & Ricardo Mourão). 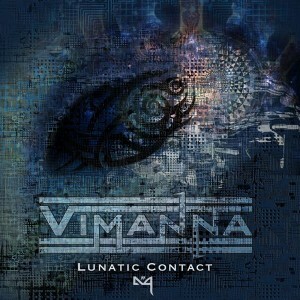 With a dark progressive sound and intelligently structured textures, Lunatic Contact really shows the creative flow that Vimanna has to offer. Prepare to be immersed in eerie otherworldly atmospheres as this story of contact with extraterrestrials unfolds! Mastering by Richard Hinkson (Interpulse) with artwork by Boni @ Crystaloutscreations. MP3 Download | FLAC Download | WAV Download · Download count: 8,723. Parabéns aew rapaziada, trampo de qualidade! good work with wonderful floating sequence.